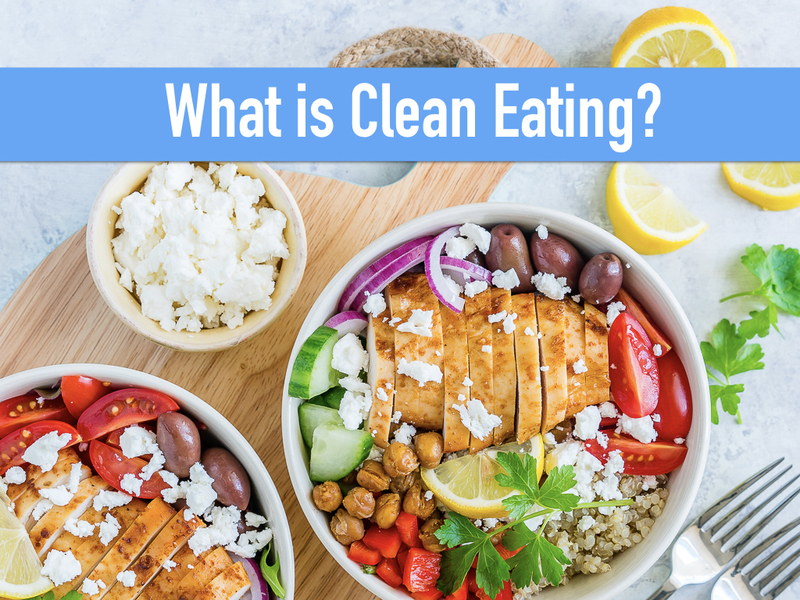 What is Clean Eating you may have wondered? Here is a complete guide for you to reference anytime you’re unsure! Print this out and put it on your fridge for motivation and review it whenever you need a refresher. In a nutshell, Clean Eating is all about consuming foods in their natural, unprocessed form. 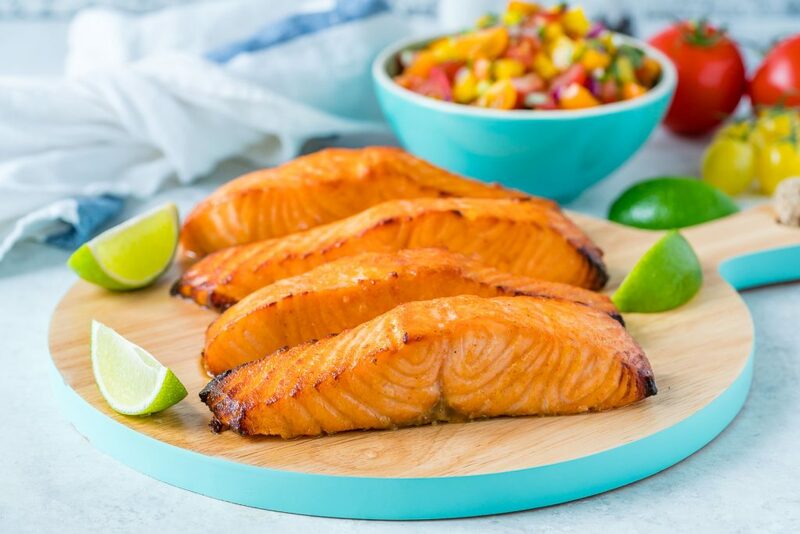 It’s not about dieting or counting calories, or making sure you’re perfect – simply put, Clean Eating is a lifestyle that leads to greater overall health and an improved quality of life. So what are the principles encompassing this lifestyle? Eat whole, fresh food that’s organic wherever possible, and avoid refined foods like white sugar, refined vegetable oils and packaged foods with chemicals or dyes. 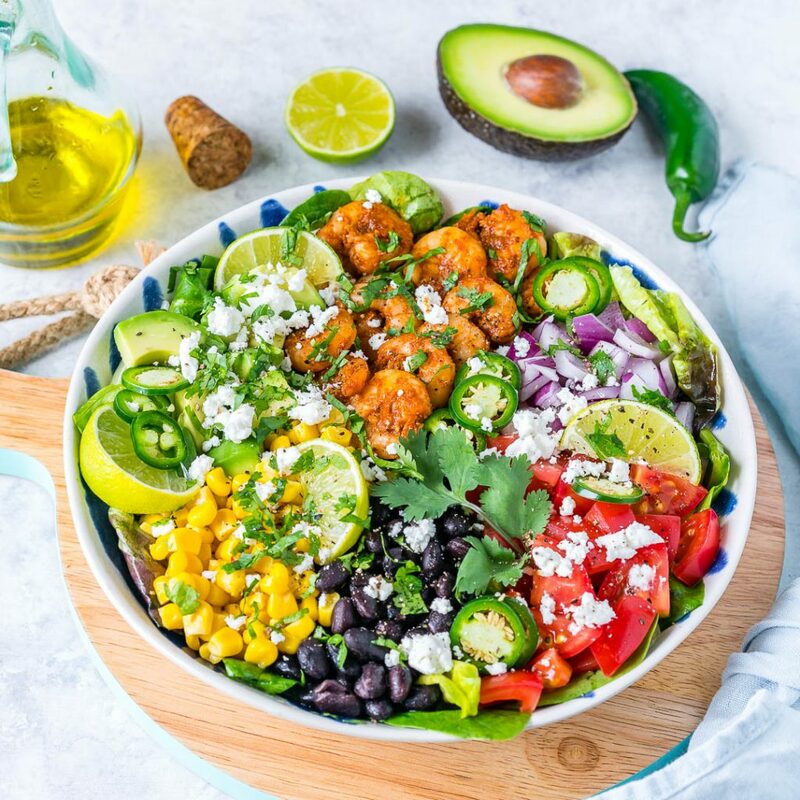 Whole, fresh foods like veggies, leafy greens, fruits, whole-grains, healthy fats, wild caught fish and grass-fed meats and organic dairy products are all on the menu. So what are we avoiding then? A proper approach to Clean Eating involves crowding out the “bad” with the “good”. Processed Foods like white sugar, white bread, cereals that have been overly processed can be replaced with healthy and Clean Carb sources like sweet potatoes, oats, Ezekial bread and honey or maple syrup. Overrefined vegetable oils known to cause inflammation in the body can be replaced for grass-fed butter, ghee, coconut oil, avocado oil and olive oil. Sweets and sugars can be appropriately exchanged for fresh fruits, fruit or avocado based desserts, and less processed options. Ultimately, processed foods generally contain little to no nutrition because they have been overheated, treated, stripped of their vital nutrients and been mutated in the process of creating a packaged food. Often these packaged foods also contain harmful dyes which are linked to mood disorders in children, and far too much sugar, refined oils or other chemicals you won’t find in a whole food. Does this mean you can’t blend smoothies or process your food at all? No! Clean Eating isn’t about being obsessive. And it certainly isn’t about eating raw broccoli and celery sticks. Rather, when we refer to “processed foods” we’re talking about packaged foods which contain chemical additives and other ingredients known to cause inflammation, weight gain, hormonal imbalances and skin problems like acne. Documentaries focusing on food awareness consistently highlight the harmful effects of processed foods and bring to light just how important it is to eat clean. Diabetes, cholesterol problems, chronic pain and inflammation and stubborn weight gain are just a few health issues that have been shown to improve when a person switches to a Clean Eating Lifestyle. Take Becky for example, who reversed her pre-diabetic status by Eating Clean. Carla lost 37 pounds and reversed chronic inflammation when she tried Clean Eating for 30 days. These are just two examples of how transformative changing what you eat can really be! Is Clean Eating a Fad? This is always such an interesting question to answer, because 150 years ago processed foods didn’t even exist. 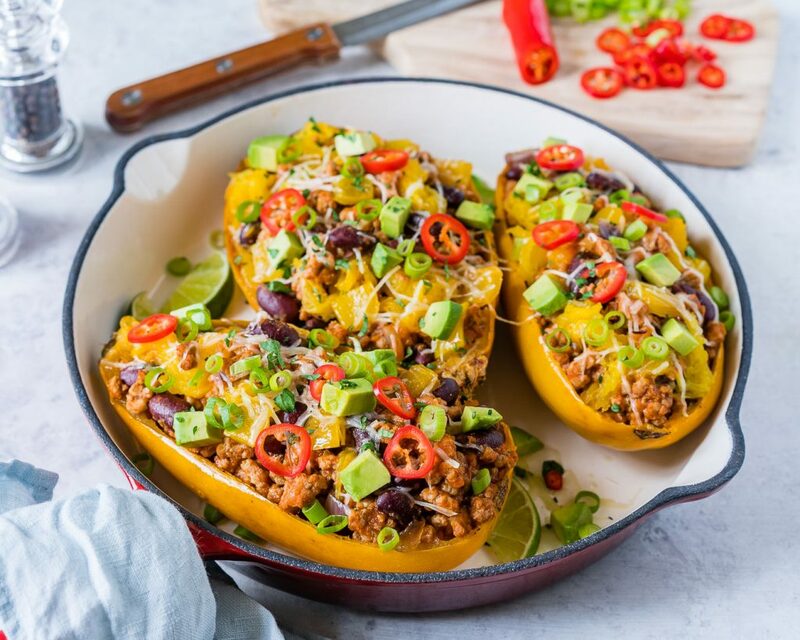 Now, we’re so accustomed to eating out of boxes and plastic bags that we’ve begun to think Clean Eating is somehow a weird diet that’s being blown out of proportion. Think about it this way – animals in nature still haven’t strayed from eating a natural diet of plants and meat from other animals, because there’s no better way for a species to evolve than to eat a healthy, natural diet. Today, humans are experiencing record numbers of health issues, inflammation, and chronic weight gain because of the food we’re consuming. It’s not that we need to try something new, it’s that we need to rewind. Clean Eating isn’t a new fad, we’ve been eating this way for most of our existence. Balance is everything, and you don’t have to make a vow to never eat a sweet treat again, but overtime the brain rewires to crave sugar less and break the addictive cycle so many of us have with processed food. Clean Eating works because it is so natural and be sustained over the long term. People who adopt a Clean Eating Lifestyle often have a motivation – it might be extra weight that won’t budge, inflammation, exhaustion or fatigue or something even more serious like cancer. Parents are often drawn to this lifestyle to help establish a healthy relationship to food within the household. On a physical level, the body responds well to this way of eating because it’s a low-stress, balanced approach to being healthy. Layer on the emotional and psychological benefits of Clean Eating and you get a pretty miraculous list! In order to get started, you can clean out your pantry of anything that might not fit into the Clean Eating category. Then, make sure you’re stocked and have a plan! Meal-prepping is one of the smartest things you can do when you’ve made the choice to eat clean. 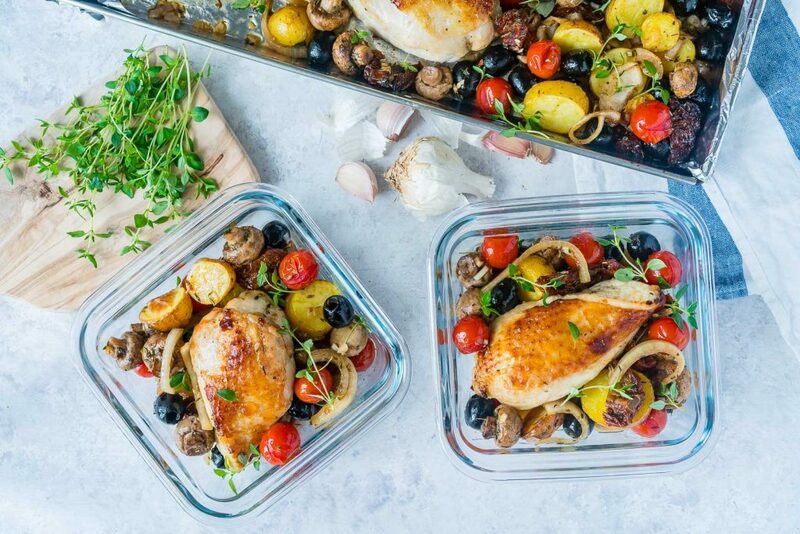 Try this one sheet pan tuscan chicken recipe – it’s simple and makes more than one meal so you’re prepped and ready to go when hunger strikes. Drink more water! This is one of the Golden Rules of Clean Eating that makes such a difference. Having enough water helps your body release excess weight and manage cravings better. Avoid drinking your calories – soda and sugary drinks can be replaced with lemon water, tea and sparkling water with lemon or lime. Read the labels before you purchase packaged foods. If you can’t pronounce it or don’t recognize it, don’t bring it home. Learn how to prepare your own food at home more than eating out. Eat smaller meals throughout the day and try to stop eating 2 hours before bed. Getting started doesn’t have to be overwhelming – but understandably, you might feel a bit confused in the beginning stages of this journey. 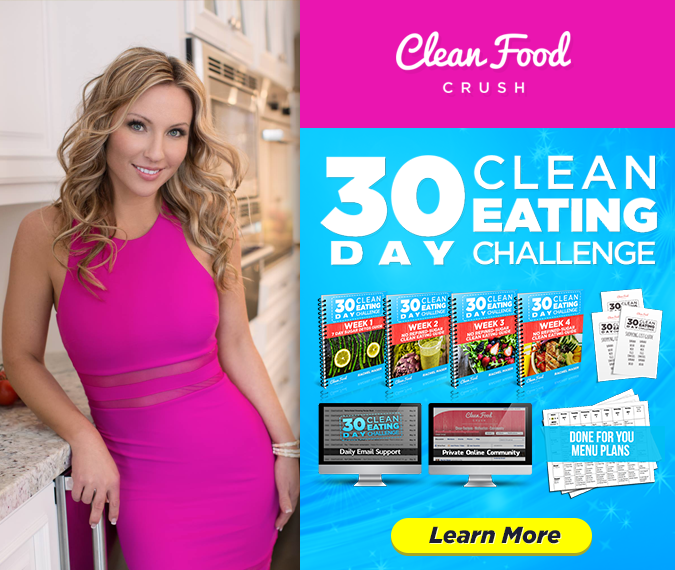 Which is why I created a complete 30 Day program called the 30 Day Clean Eating Challenge which includes all of your recipes, shopping lists & guides and even a private support group to help jump-start you into the lifestyle.